All soldiers are familiar with the concept of tightening their shot group, or improving their aim. Each warrior, from the newest recruit to the seasoned veteran, also knows he can only improve his shot with focus, patience, and practice. 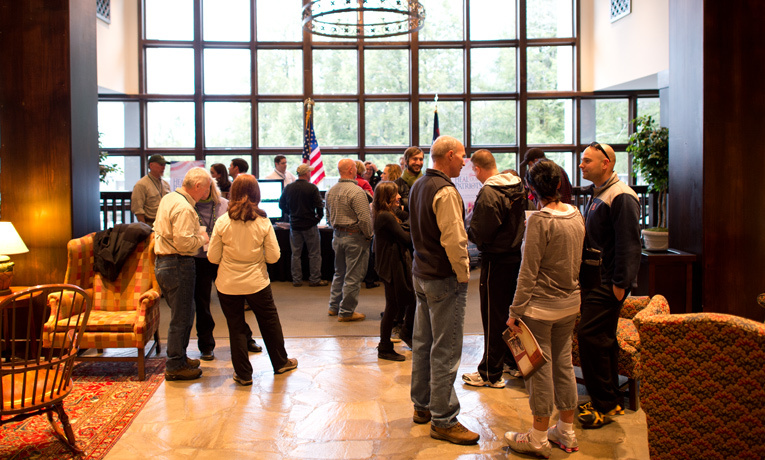 For 44 military couples, the Operation Heal Our Patriots reunion held at the Billy Graham Training Center at The Cove Friday-Sunday was an opportunity to take better aim at the target of a healthy marriage. Give“You are never at a point in your marriage where you can stop learning,” Brigadier General Jim Walker (USMC, ret.) told the couples at the facility outside Asheville, N.C., acknowledging the hard work needed to make any marriage work. 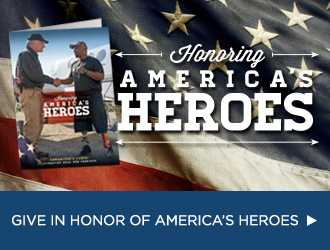 General Walker is the executive director of Operation Heal Our Patriots, the Samaritan’s Purse ministry to wounded and injured veterans and their spouses. Each of the couples at the reunion visited Samaritan Lodge Alaska during one of 12 weeks last summer, enjoying marriage classes, daily devotions, and amazing outdoor adventures. During the weekend reunion, the couples savored a precious opportunity to focus on their relationship with each other and take marriage enrichment classes on topics such as communication, forgiveness, and finances. From the sessions—each led by a current or former member of the military—they gained plenty of practical tools to help them in their marriages. Harold and Melinda Bean were excited to have Chaplain Fisher share in their special moment. “Chaplain Fisher is the man. When you first meet him, you know you can put your life in his hands,” Harold said. Harold accepted Christ as his Savior while at Samaritan Lodge Alaska and he was recently baptized together with Melinda at their local church. 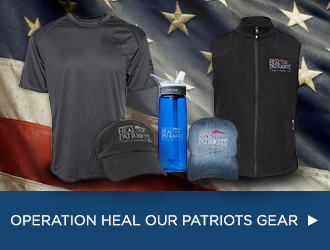 The entire Operation Heal Our Patriots experience has radically changed their lives, marriage, and parenting. In between the reunion’s long-anticipated hello-agains and the lengthy but inescapable goodbyes as it ended, couples made new friends and reconnected with others. They reminisced about bear watching, kayaking, and fishing at the lodge, and shared many hugs, tears, and prayers. Samaritan’s Purse President Franklin Graham spoke to couples on Friday night, Lieutenant General Robert VanAntwerp (USA, ret.) addressed them on Saturday, and First Lieutenant Clebe McClary (USMC, ret.) finished the reunion on Sunday morning. Each emphasized the urgency and importance of having a personal relationship with the Lord Jesus Christ. First Lieutenant McClary, who lost his left arm and eye during the Vietnam War, gave an invitation to trust Christ at the conclusion of his message. Eighteen individuals indicated a desire to follow Jesus. The Operation Heal Our Patriots Reunion will be an annual event and is just one aspect of the way Samaritan’s Purse will minister to couples for life. This coming summer Samaritan Lodge Alaska expects to host 150 couples, 10 per week for 15 weeks.